Samsung gave Galaxy S III buyers a small rainbow of color choices in the summer, and there's signs that the Galaxy Note II might receive a similarly resplendent treatment. A supposed press image obtained by AndroidSlash shows the giant smartphone draped in a previously unavailable black that's potentially very striking -- and more than a little reminiscent of 2001's species-changing monoliths. There's no official word from Samsung on its authenticity, although we wouldn't be surprised knowing the company's history and the Note II's strong track record. When a theoretically niche device is selling like gangbusters, some added diversity could be in order. Just don't expect any Starchildren as a result. Magnetic levitation is central to the fastest trains we know today, but it's that dependence on electromagnets and rails that limits how and where it's used for transportation. Aoyama Gakuin University has a unique alternative: changing the material properties themselves. 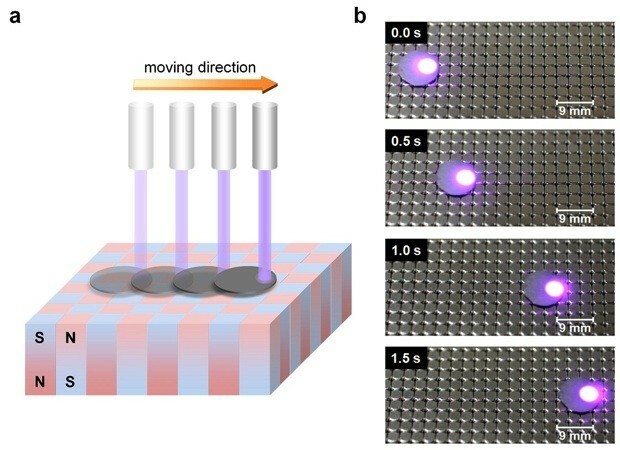 By floating graphite over a bed of circular magnets, taking advantage of its tendency to generate an opposing magnetic field, researchers can move the graphite just by blasting its edge with a laser. The heat skews the magnetic behavior of that area enough to unbalance the graphite, either in a specific direction or a spin. The research team believes it could lead to maglev transportation or even energy converting turbines that are steered solely by light, with no contact or outside guides: maglev vehicle pilots could have much more control over where they go. Getting to that point will require a much larger scale, but successful development could give technology a very literal lift. 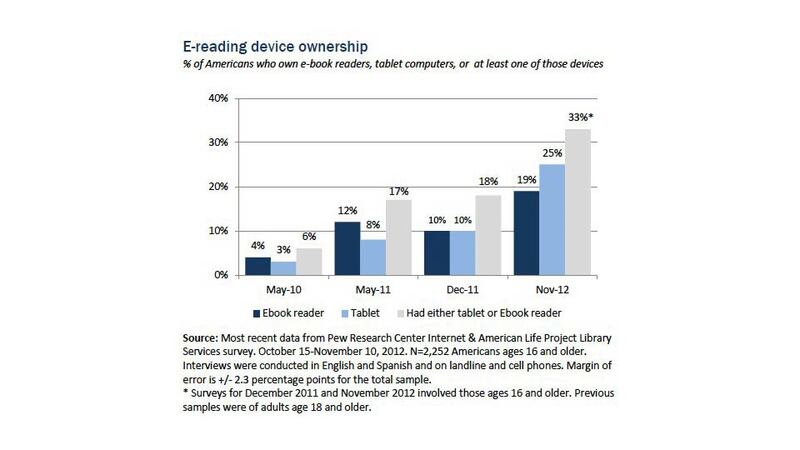 New research from Pew Internet says that ebook readership is up (duh), and overall we own more tablets and ereaders. That's not all that surprising, really. Still, here's a look at how America reads. 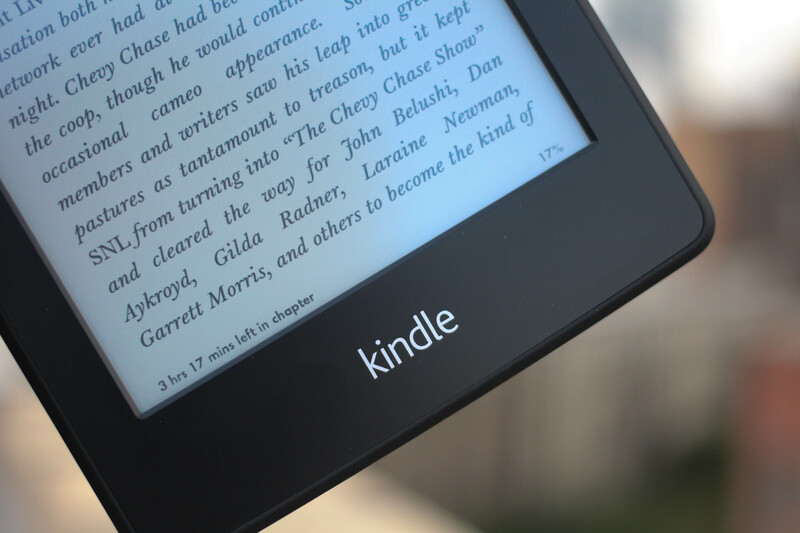 According to data gathered from more than 2,000 participants in the Pew Research Center's Internet & American Life Project, the number of people who read ebooks increased to 23 percent of Americans 16 and older, from 16 percent last year. That's a big jump statistically, and coincides with the number of people who own a tablet or ereader going from 18 percent to 33 percent. And tablet owners actually passed ereader owners this year too, which makes sense given ereaders had a few-year head start, and this is the year inexpensive tablets actually got good with the Nexus 7 and Kindle Fire HD. Modern security cameras are rather limited: if an incident doesn't happen within a pre-defined field of vision, a company won't know what's happening until it's too late. Secom is giving anxious offices a rare solution in what's supposedly the first airborne drone for private security. 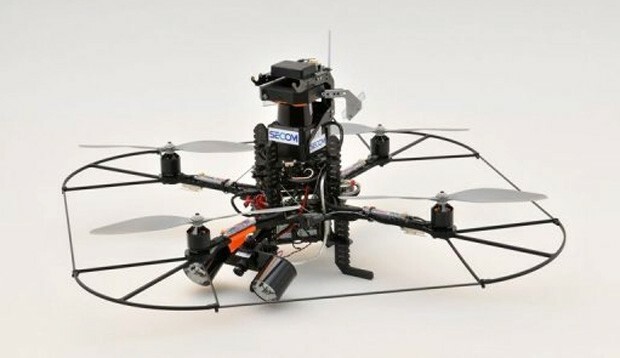 Its customized Ascending Technologies quadrotor can take to the air if there's a break-in and record what's happening, even in areas that would normally represent blind spots. The automaton can also track moving subjects with a laser sensor and knows enough to keep its distance. Japanese firms wanting Secom's robot sentry will have to wait until after April 2014, when they can rent one at about ¥5,000 ($58) per month; the investment could be worthwhile just to freak out a few would-be burglars. Westinghouse has yet to become the premium HDTV manufacturer it one day hopes to be, and if the past is any indication, flooding the market with low-cost sets won't drive you to the top. But the promise of high resolution might at least yield a modest bump. The company's 2013 lineup is set to be dominated by 4K models, each packing 3840 x 2160-pixel panels for an "amazing" and "affordable" experience. The company's flagship rings in at a massive 110 diagonal inches and will be available for custom order beginning sometime in Q1. 50, 55 and 65-inch versions will also ship within the same timeframe, offering the same resolution and a modest 120Hz native refresh rate. We're still waiting to hear back on pricing and a hint of where you might be able to pick one of these UHDTVs up beginning early next year, but if the press release after the break is any indication, we're about to be inundated with high-res, low-cost televisions at next month's CES. ZTE has been more than willing to spill the beans about the Grand S ahead of CES, and it's not stopping with the mention that the phone exists. 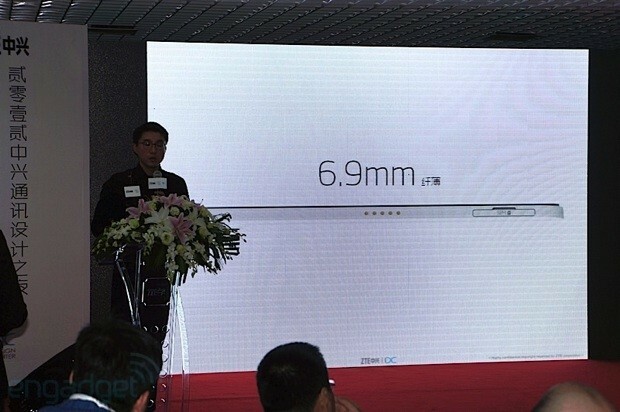 The Chinese phone maker has confirmed that its 5-inch smartphone measures just 6.9mm (0.27in) thick -- that's a sight slimmer than the Droid DNA and Nubia Z5. 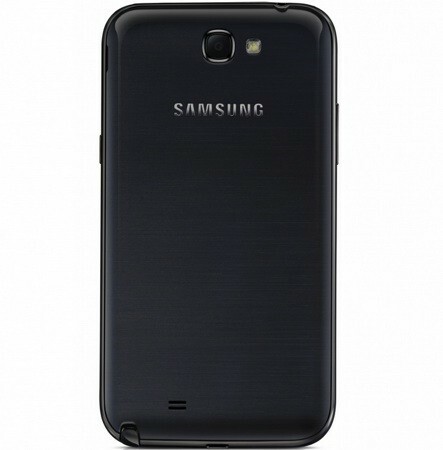 There's also mention of a 13-megapixel camera that explains a slightly visible rear hump. While we don't yet have confirmation of the rumored quad-core Snapdragon S4 Pro and 2GB of RAM, ZTE has left clues that the flagship could undercut typical pricing with a ¥2,799 ($449) off-contract cost in China. We may only know the full details in Las Vegas, but there's every indication that the Grand S hardware could justify a boast or two. The manufacturing white label behind products from LG Electronics and many, many other companies, LG Display will have something new for us in Las Vegas as well. 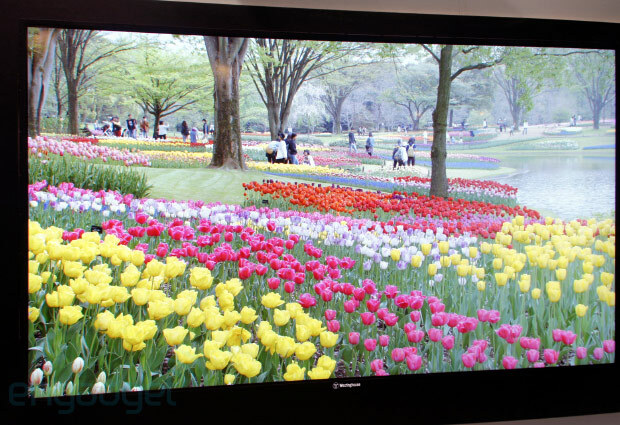 In a press release, the company announced it will show off Ultra HD (4K) panels in 55-, 65- and 84-inch sizes (shown above), complete with its FPR passive 3D tech built in. Since LG Display makes panels for quite a few of the HDTVs on shelves, it follows that we'll be seeing actual products shipping in those sizes in the coming year from several brands. It also will show off its work in other areas, with a 30-inch 4K monitor, a 5.5-inch 1080p screen for smartphones, a 1,920 x 1,200 7-inch tablet display, and a new QSXGA (2,560 x 1,700) screen destined for laptops that packs all of those pixels into just 12.9-inches. PPI isn't everything however, and LG Display is bringing several displays notable for their tiny bezels as well, including a 23.8-inch monitor in its Neo-Blade Series, a 13.3-inch laptop screen with a 2mm bezel, and a 4.7-inch mobile screen with a 1mm thick bezel. Finally, the new year also brings tweaks to its OLED displays, which will show off an ultra light and thin design at just 3.5kg and 4mm thick --- and hopefully actually being released in the US this year. Check out the release after the br! eak for the full list of goodies, we'll be getting our own look at them in just a few days. Hoping for some after-the-fact focusing in your next smartphone camera? Well, you'll have to wait around a year, but Toshiba's planning exactly that with a new module that houses an array of 500,000 tiny lenses. Within a 1cm-thick unit, these lenses are layered in front of the camera sensor, which can capture slightly different images from each lens arrangement. Those picture can then be combined in a "complete" picture using Toshiba's own software. Apparently, the camera will also be able to measure the distance between objects in the shot -- similar to how 3D images are captured -- with the user then able to shift focus between close and distant detail, or even create images that are in-focus throughout. Toshiba says the module will also be able to capture video with a similar degree of focus management -- something that Lytro hasn't got around to just yet. The sensor is still a work in progress, but the manufacturer plans to commercialize the module before the end of 2013. Toshiba is looking to ally itself with multiple smartphone (and tablet) makers -- and here's hoping that it finds its way into a device outside of Japan. Conventional video projectors have remained largely a niche market for dedicated home theater enthusiasts on account of their difficult installation. However, a new breed of "home projector" has developed over the past few years into an increasingly viable alternative to flat panel televisions. And if LG's new 100-inch class LG "HECTO" Laser TV is any indicator, the LED/Plasma debate may be moot. 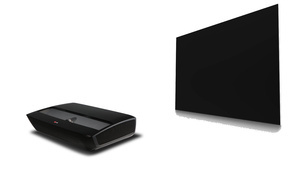 The 1080p HECTO system uses a specially designed screen and an Ultra Short Throw (UST) projector that sits under it. The obvious advantage is that you can set up the system like a normal flat panel display rather than having to mount the projector on your ceiling or maintain a clear line of sight from the back of the room. The projector needs less than two feet of space from the screen to function and is bright enough to work in normally lit living rooms rather than darkened home theaters. The projector itself is outfitted with dual 10W speakers, a trio HDMI ports, audio out, and a RS-232 interface. And like the rest of LG's premium device offerings this year, the HECTO will offer Smart TV functionality—including web browsing and VOD—as well as integration with the new Magic Remote and WiDi compatibility. Most impressive pehaps is the HECTO's Methusala of a bulb. It reportedly lasts five time longer than conventional mercury lamps—a stunning 25,000 hours. 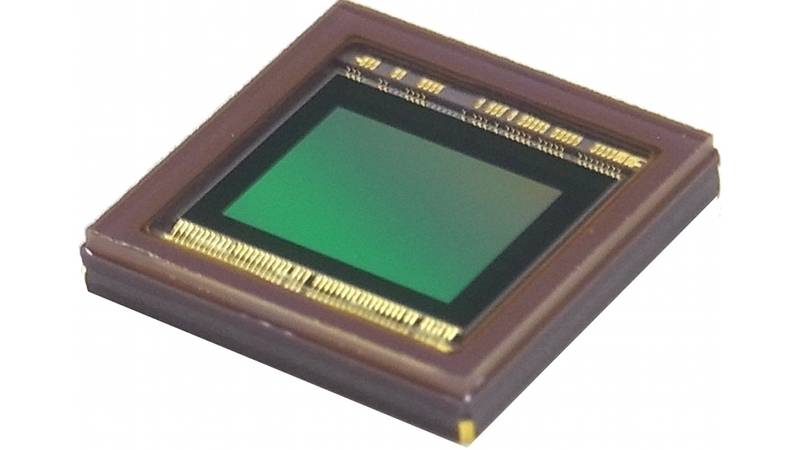 Toshiba's new TCM5115CL 20-megapixel image sensor is the highest-resolution ever built for the tiniest point-and-shoot cameras. Uh oh, are the megapixel wars back? For a while there, the wars over who could cram more pixels onto tiny image sensors seemed to have died off. Indeed, for years, megapixel counts were a showy and misleading spec used by camera manufacturers to entice buyers who don't know any better. But when it comes to the 1/2.3-inch image sensors used in bottom-of-the-line cameras, almost all manufacturers these days have settled on a 16-megapixel, backside-illuminated CMOS sensor. The spec is a nice compromise between resolution and light-capturing efficiency for the cheap point-and-shoot cameras these sensors are used in. As LG continues its slew of CES 2013 pre-announcements, the latest is a new display technology it's bringing to the projection arena, an ultra short throw laser projector. Capable of creating a 100-inch screen from just 22 inches (56cm) away, the "Hecto" Laser TV a 1080p shooter that can change the way owners design their home theater. If you'd like to use it as an all-in-one home theater to go (the screen is included, picture after the break), it also has a digital tuner and 10w speakers built-in, with three HDMI inputs, an RS-232 port and Smart TV capabilities controlled by LG's Magic Remote. As you can see above, it follows LG's "Dynamic Arc Design" with a max height of just 5.7-inches. It carries a 1,000,000 to 1 contrast ratio with WiDi and Miracast compatibility and LG claims the laser system will run for up to 25,000 hours without replacement. There's no word on pricing or release date, although it likely won't be value priced. We expect to get a few more details when we see it in Las Vegas, check the press release after the break for all the information currently available. 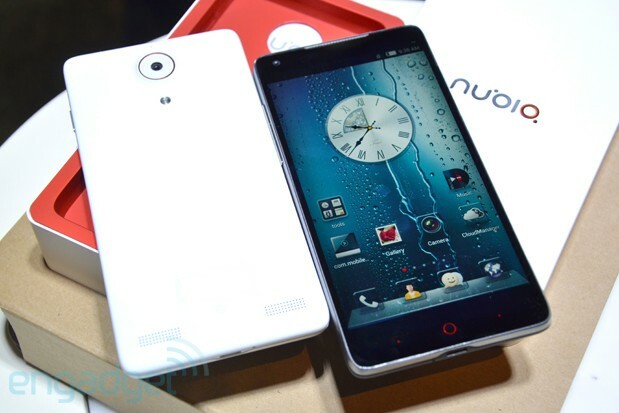 Much like many Chinese smartphone brands these days, ZTE sub-brand Nubia had prematurely given away the main selling points of its Z5 ahead of its Beijing launch today, but there were still some surprises. As you probably already know, here's yet another five-inch 1080p Android phone featuring Qualcomm's 1.5GHz quad-core APQ8064, 2GB RAM and 32GB of internal storage, along with a 13-megapixel F2.2 main camera (with five-element optics by Konica Minolta, plus separate touch focus and touch exposure in the app) and a two-megapixel front-facing camera. For multimedia consumption, the Z5 supports WiFi Display and MHL output should you wish to beam content to a larger screen; whereas on the audio side you are spoiled with either Yamaha or Dolby Digital Plus. But wait, there's more!